Having analyzed the novelty of the individual components, the experts revealed the features of its design, identified the main components and, traditionally, made a verdict regarding maintainability. 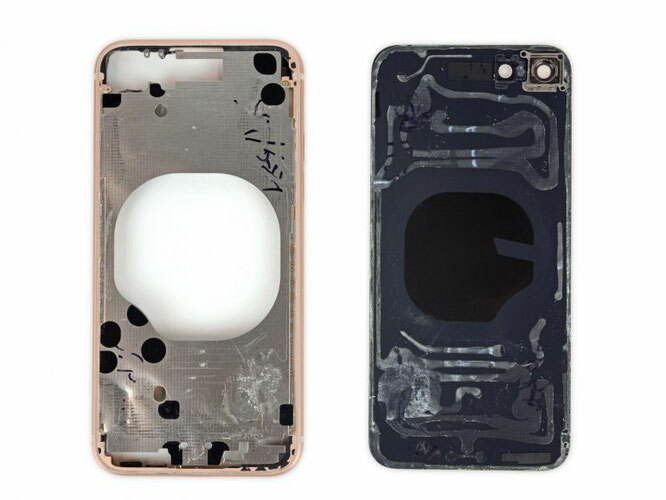 Recall, the smartphone Apple iPhone 8 looks almost no different from the device of the previous generation. In fact, only the rear panel has been changed, which is now made of glass. 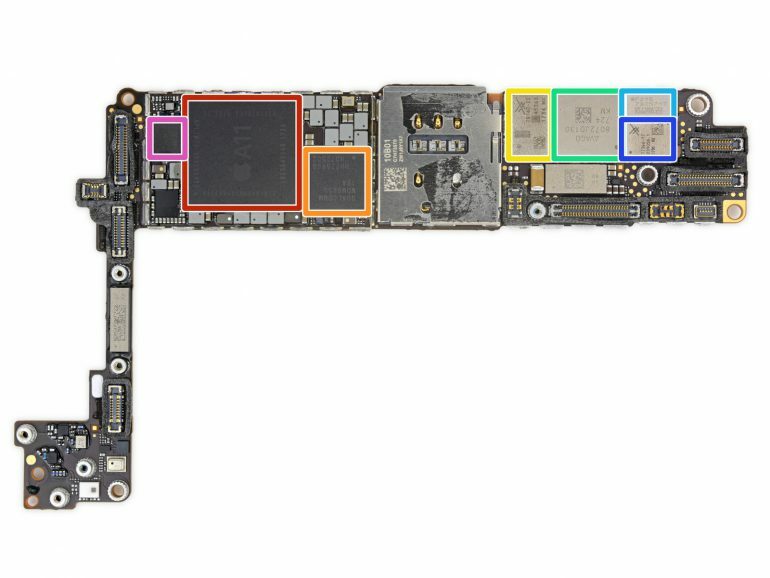 But the internal components of the novelty were significantly redesigned compared to the iPhone 7. The iPhone 8 is equipped with a 4.7-inch display with a resolution of 1334 × 750 pixels, an Apple A11 Bionic processor, built-in flash memory with a capacity of up to 256 GB and an integrated wireless charging module. 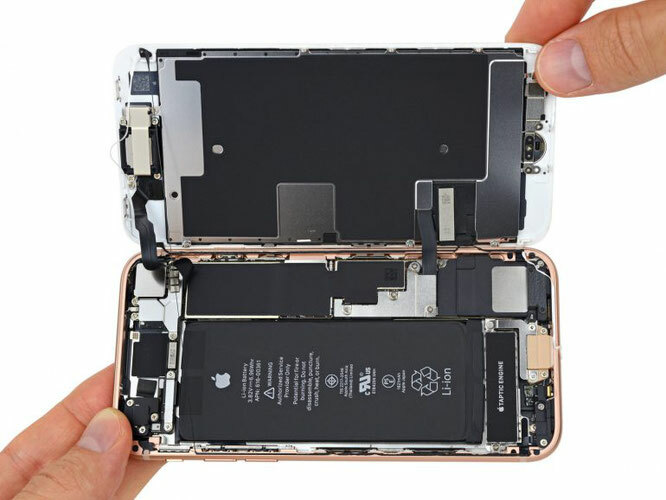 Following the disassembly of the new smartphone Apple iPhone 8 was assigned a maintainability rating of 6 out of 10. 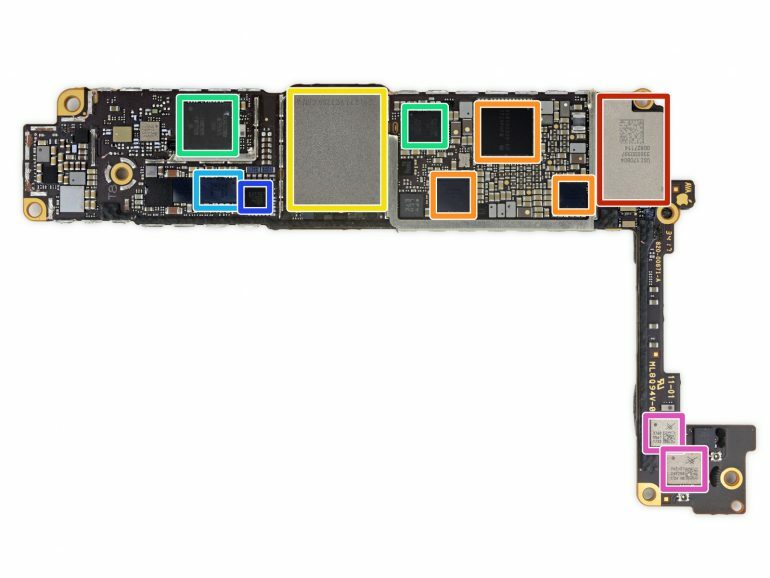 Note that the maximum score of 10 corresponds to the most easily repairable devices. Thus, the model under consideration is quite well repairable. But this figure was lower than that of its predecessor. During disassembly it was found that the most frequently required components (display and battery) are easily accessible (with the necessary knowledge and tools). One of the frequent repair objects was previously the port Lightning. 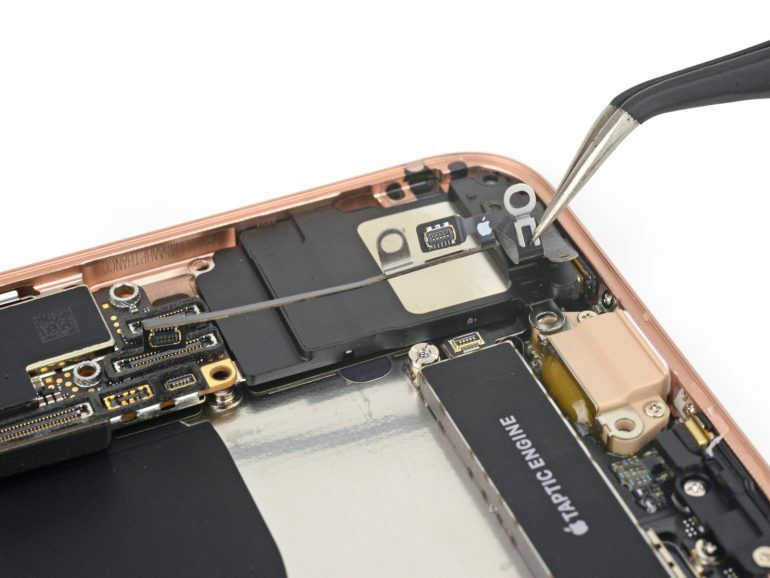 But now, thanks to the addition of wireless charging, the load on the connector will decrease, and it will not require frequent replacement. Seals for protection from dust and water complicate repairs. 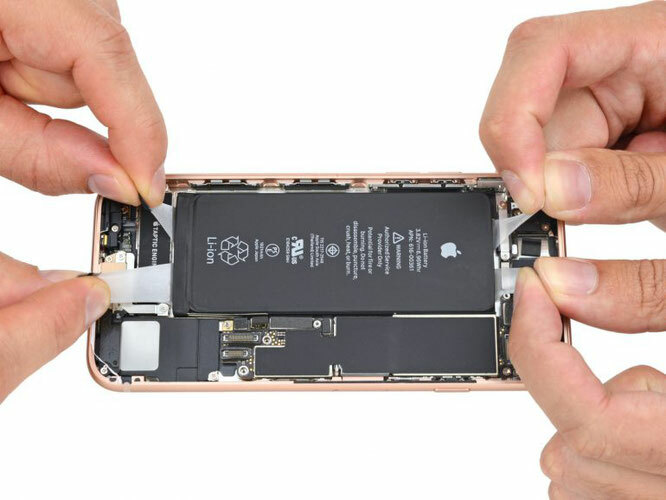 At the same time, due to their availability, the probability of situations arises that require complex repairs due to the effects of liquids on the internal components of the smartphone. To access the battery, use the familiar Phillips / JIS screws. 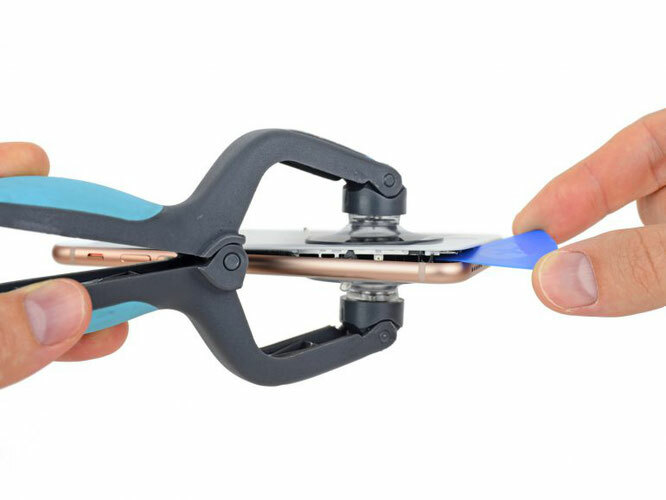 But for many types of repair you will need to use four different types of screwdrivers. The reliability of the glass rear panel remains to be seen. But already now it is known that its replacement will be quite a complicated and time-consuming process. 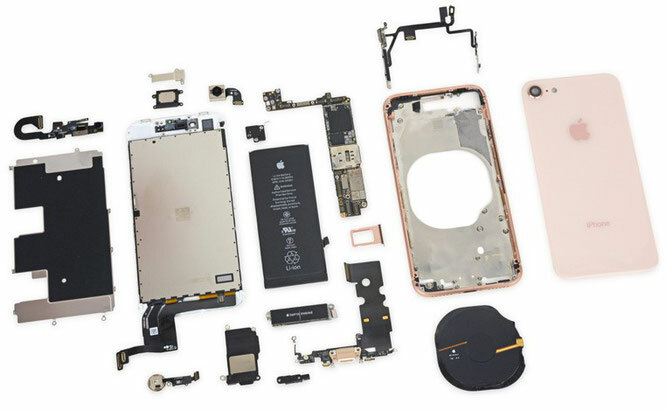 The components of the iPhone, which were previously easy to reach, are located under the construction of brackets and cleverly folded flexible cables. 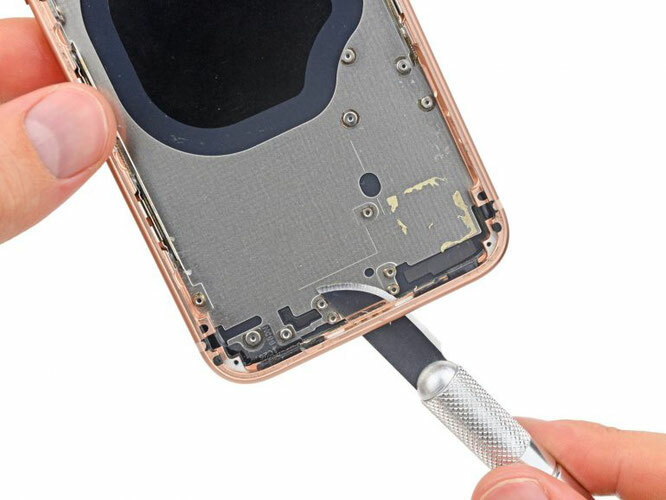 The wireless charging module is attached to the support plate, which is securely pasted into the back panel. In the process of disassembling the apparatus, she bent a little.